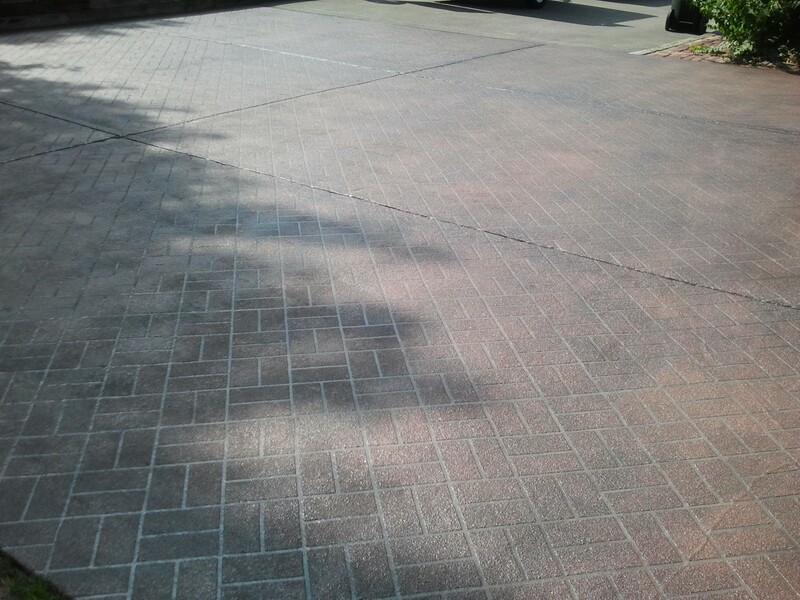 There was Asphalt Sealer on the concrete which we removed, fixed some Huge Cracks on each slab, which were at least 1/2 inch in width, and about 12 feet long each and there were about 10 or 12 that needed some repair. Then we put down a Taupe Color for the grout, added the Basket Weave Brick Pattern, Sprayed our Brick Color on top OF the stencil, then Acid stained with 3 coats of Charcoal Colorant, and sealed with 2 coats of our Premium Sealer. 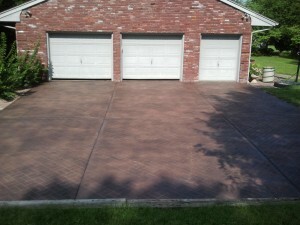 Give me a call at 573-216-0930 for a No Obligation FREE Estimate. Whether you've found this blog through our website or through an internet search... Welcome! Custom Concrete Design is based in Lake of the Ozarks, MO and offers Decorative Concrete Finishes for floors, pool decks, patios, driveways, garage floors, walkways, entry, retaining walls, and more. Our blog is a space for us to spotlight Video's and Pictures of our Latest projects and talk about the latest concrete techniques and applications, and just about anything Decorative Concrete related. We hope you find it useful. Our most recent posts are below, but feel free to browse the archives or search posts by category. Just added a NEW Before and After Page! !